As of September 2014, Singapore Shipping Enterprises Pte. 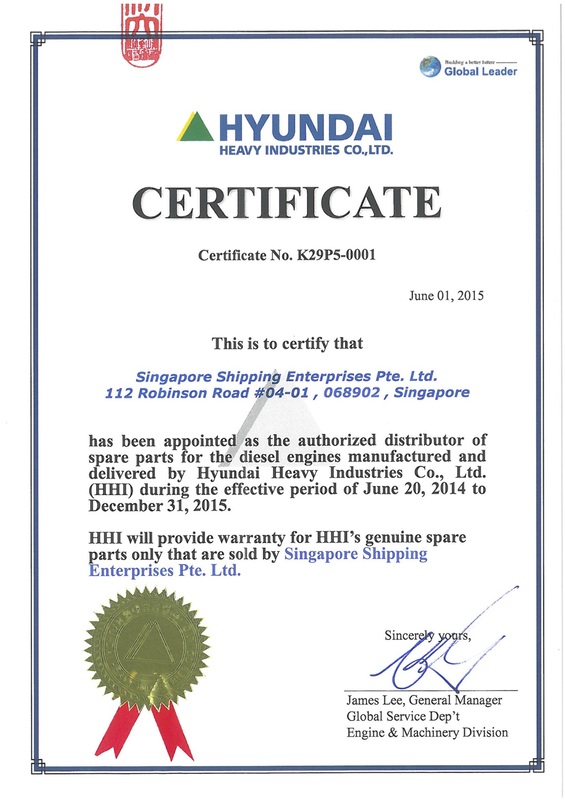 Ltd. has been awarded the privilege to become one of the 8 official Hyundai Heavy Industries – Engine & Machinery Division (HHI-EMD) distributors of spare parts. This award has come to highlight HHI EMD’s trust for our strong customer relationships that have been built through the years, based on our continuous efforts to exceed our customer needs and expectations.